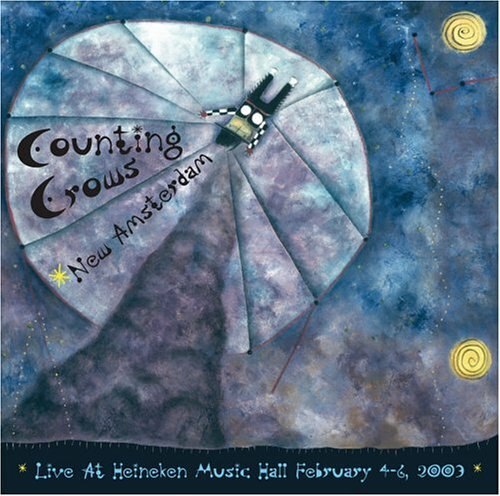 Recorded in February 2003 in Holland, Counting Crows New Amsterdam: Live at Heineken Music Hall 2003 includes a collection of songs from their years of performing plus one new song written by Adam Duritz and Gemma Hayes called 'Hazy.' Counting Crows hail from the San Francisco Bay area and consist of Adam Duritz (vocals), David Bryson (guitar), Charles Gillingham (keyboards), Dan Vickrey (guitar), Jim Bogios (drums), David Immergluck (guitar) and touring bassist Millard Powers. Counting Crows success dates back to their 1993 debut release August And Everything After and the hit single 'Mr. Jones.' The band's most recent success included a #1 hit with the song 'Accidentally In Love,' which was featured on the 'Shrek 2' soundtrack, as well as nominations last year for a Grammy Award, a Golden Globe Award and an Academy Award for the track. In 2004 the band released their first ever 'Best Of' set Films About Ghosts which featured songs from every phase of the Counting Crow's recording career. The band has sold over 20 million records worldwide.